You are at:Home»Posts Tagged "Le Semnoz"
Le Semnoz is the mountain on the west side of Lake Annecy. Here are details of 5 routes up this great climb. Le Semnoz is the huge massif on the west side of Lake Annecy. 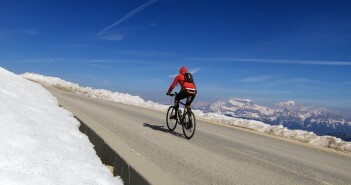 It is the highest paved cycling climb in the region. I prefer the quieter south side. Map, photos, profile, etc. Unlike the bigger mountains on the east side of the lake Annecy, it’s possibly to cycle up to the peak of Le Semnoz: Crêt de Chatillon.